After graduating from high school, Doyle spent five years in the U.S. Navy during the Vietnam War as an electronics technician repairing the missile guidance system on the F-4 Phantom Jet. 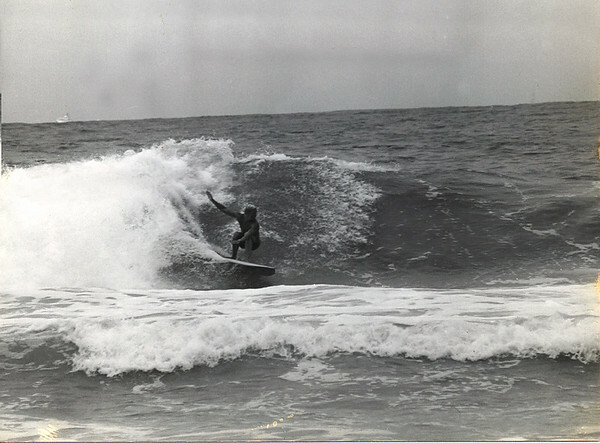 Honorably discharged in 1976, he settled in San Diego to surf competitively and to work as a carpenter and as a foam-injection molder at Jim Mizell’s “Aquatic Energy” surfboard factory, in Huntington Beach, CA. He attended San Diego State University (1976- 1980) and graduated with a Bachelor of Arts Degree in Applied Arts & Science with a triple major in Photography, Journalism and Graphic Communication. An internship in college with Surfer Magazine launched his still photography career under the mentor-ship of Art Brewer, Jeff Divine, Jim Kempton, and Paul Holmes. He worked for a decade as an NFL team photographer for the San Diego Chargers and for NFL Properties. He also held a position as staff photographer for Windsurf magazine under editor Drew Kampion and photo editor Craig Peterson. 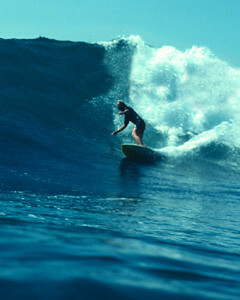 For the past 40 + years, he has worked as a traveling surf and sports photographer.World Publications named one of Doyle's photos "Photo of The Century in the Nov/Dec 1999 Issue of WaterSki Magazine. 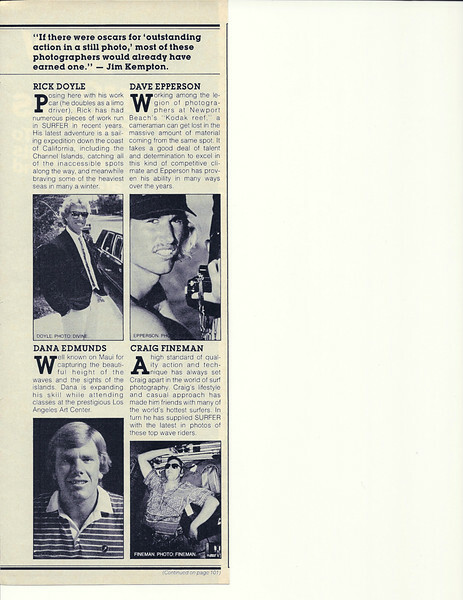 Doyle's been nominated for the Waterski Hall of Fame for the work he did covering the sport. He went on to further education in the film business and graduated from the Hollywood Film Institute. He’s been self-employed since graduating from college and his work has had him traveling to many different areas on the globe on assignment. 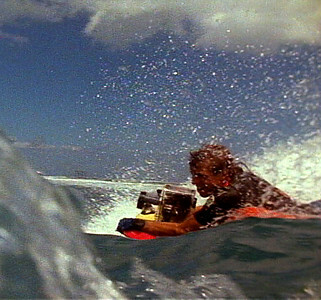 Doyle’s still work is represented by Corbis, and his cinematography work is represented and distributed by Getty Images. http://www.gettyimages.com/Search/Search.aspx?contractUrl=2&language=en-US&assetType=film&analogArchive=include&p=rick+doyle and Art Beats. After 40 + years shooting extreme sports, Doyle’s taken new direction in his photography career and is now focused on real estate, architecture and interior design photography. He's also pursuing his art career. His artwork and photos have been the featured photo decor in many well known restaurants throughout the United States including the Chart House, Islands Restaurants and Rubios to name just a few. Doyle is using both Aluminum and Canvas to print his work and is incorporating Acrylic paints to highlight and texture the images that have been digitally painted from his original 35 mm slides and screen caps of his 35 mm motion picture film work. 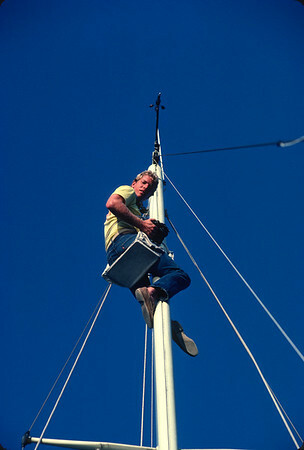 He currently resides in the Ko Olina resort community on the West Side of Oahu with his Australian Labradoodle Rusty. 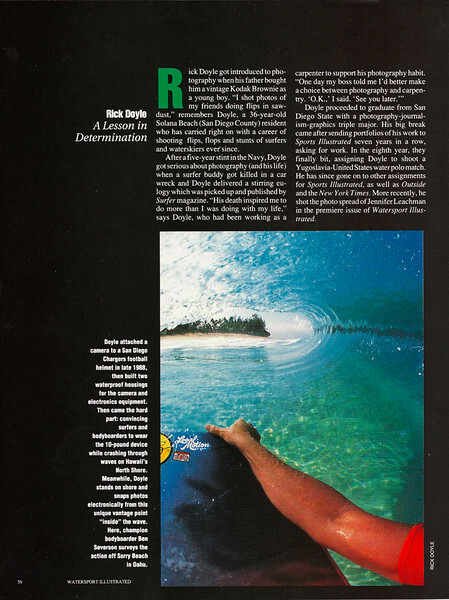 Tear sheets of some press I received and a few shots of me surfing.